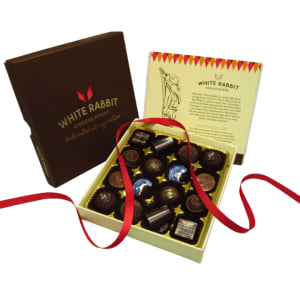 The White Rabbit Chocolatiers is a perfect fit for the MasterChef Gift Card Artisan Network because it is a family run business that hand produce, award winning, mouth-watering delights. Nestled within the cobbled streets of Beverley, a beautiful and historic market town in Yorkshire, you will find the White Rabbit Chocolatiers and Master Chocolatier Sally Hawkes. Sally has been running White Rabbit Chocolatiers since 2004 and over the years she has become quite the expert in all things chocolate. 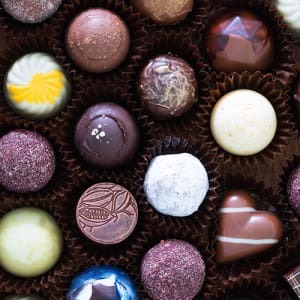 It’s not easy becoming a Chocolatier and Sally has undergone many years of formal training culminating in an internment with Master Chocolatiers in Vancouver, Canada, to become the leading authority on chocolate that she is today. The Company is named after a 14th entury stone carving within St. Mary's Church situated in the centre of Beverley, which is said to be the inspiration for the White Rabbit character in 'Alice's Adventures in Wonderland'. This connection is quite appropriate because Sally has created her own chocolate wonderland right in the centre of Beverley and you don’t have to fall down a rabbit hole to get there. Furthermore, in addition to the kitchen and shop being in the same location, there is also the dream of every chocoholic – a café devoted entirely to indulgence in all things chocolate. The venue is managed by son Edward and is a chocolate heaven, with a wonderful range of handmade tasty delights, as well as White Rabbit's own signature blend of coffee. 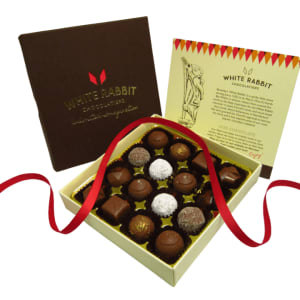 All of the creations that Sally produces are exclusive to her chocolate wonderland, so if you want to try some chocolatey delights then look no further than The White Rabbit Chocolatiers. There have been many accolades and awards over the year's. Most notable was Sally's Signature Chocolate; the Blackcurrant with Juniper Dark Truffle, which won the 3 Star Great Taste Award in the Bronze Academy of Chocolate Awards. 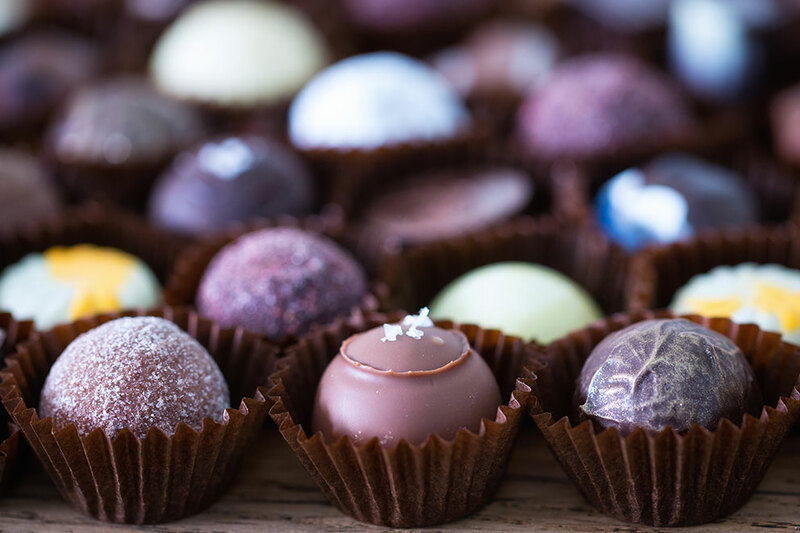 In total they have won 16 Great Taste Awards, including a 2014 Great Taste Top 50 and Golden Fork Nomination (Best Speciality in the North of England), and two bronze Academy of Chocolate Awards.